Summer is here to stay and our body just asks for a cold drink to help us refresh. And what better way to do that than in the comfort of our homes? 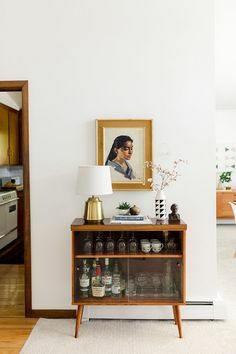 Come along with us and discover amazing home bar decor ideas to wow your guests and add a mid-century freshness to your place. You won’t want to miss this. SEE MORE: Rooftop Bars in London that Will Blow Your Mind! 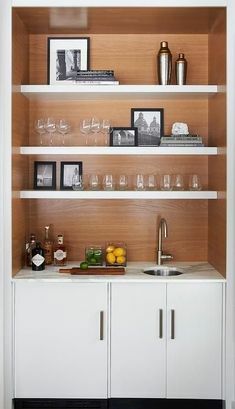 So, if you’re thinking of adding a home bar, you’ll need to know, first of all, where you want the space to be. Do you want it to be in the kitchen or in the living room? Maybe even turn your basement into a cool bar space? There are so many possibilities and it’s really up to you where you want to build your home bar, but for sure all the home bar decor ideas we have ready for you will fit the room you choose, so let’s get started! Starting off in one of the most important divisions of a home, for me at least, as all the fun happens here because eating is happiness, the kitchen. 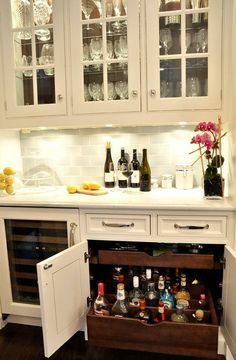 So, for the first home bar decor ideas, if you want your home bar to be located in here, you’ll need an island. 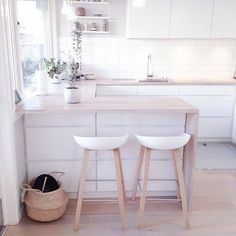 Give yourself more counter space to shake and stir and with the addition of the needful barstools, for your guests to sit and socialize. 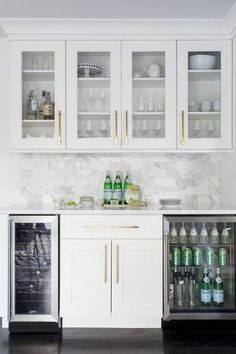 The kitchen is a great place to create your home bar, as you’ll have all the key tools that you need, as the refrigerator to chill the drinks, and the cabinets with the glasses, there already. 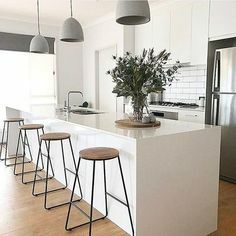 With not much space to use, you can always opt for a more simple and discrete look that won’t use as much space, placing a bar table by the corner with a few bar stools. 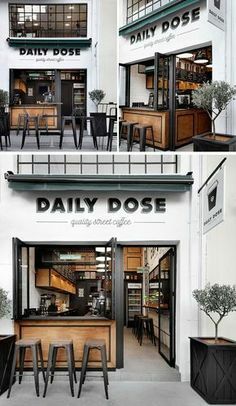 This way, you’ll get the same outcome and a cute space to enjoy a drink with your partner. To create a more private area, Monocles Folding Screen from Essential Home is the perfect home bar decor ideas, as it provides a divisory, making it a more reserved area but not completely, as holes let you glimpse into the other side, to check out what is happening with the kids, per instance, while you enjoy your drink. 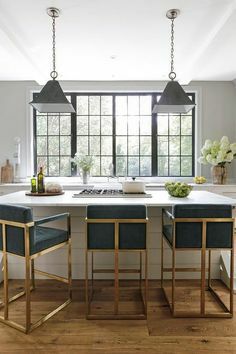 If the kitchen is not your choice, and you rather collect basement bar ideas or living room’s, we have more home bar decor ideas coming for you. 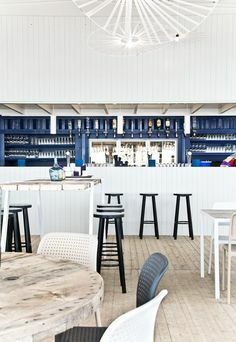 As always, what you’ll need most is a bar stool to seat while enjoying your drink, and also something to keep the bottles and glasses safe. This said, we selected two pieces that bring mid-century design and sophistication together that will amaze your friends when you invite them over. 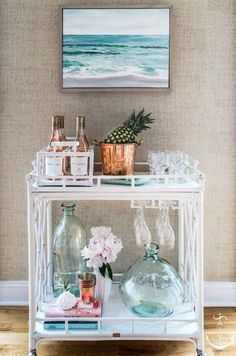 These two pieces look amazing together and for sure will make an impact in your guests when they are sitting in Kelly, while you take the bottles from Monocles. They’ll be impressed! To add something extra to your bar area and make it stand out more, we got another home bar decor ideas to help you: bar wall decor! Yes, you too can add a litle fun to your bar without turning it into a pub! 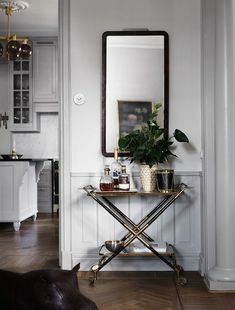 To turn your home bar into something extraordinary just takes a little creativity, and adding a wallpapper, letters, signs or even a stylish mirror can make all the difference. Why not even get your inner artist come out and paint the wall, doesn’t have to be perfect, make something abstract that will fit the space and make it pop from all the rest. Get inspiration from your surroundings, make a few splashes of color and when it’s done, believe me, you’ll be so proud of yourself! Make sure to comment and share with us if you followed any of our tips and how did if go, we’d love to know! SEE ALSO: Bar Wall Decor: The Ideas You Have Been Looking For!